Studio Z has grown to become an expert vertical fabric and upholstery design team. We specialize in concept, pattern design, and weave construction of natural and complex surface textures that enhance one's environment and impart a sophisticated softness to one's space. See more here. With our naturally sunlit studio and a keen eye for hue subtleties, Studio Z focuses on project specific color combinations within pattern, weave construction, yarn specifying, and trend forecasting. 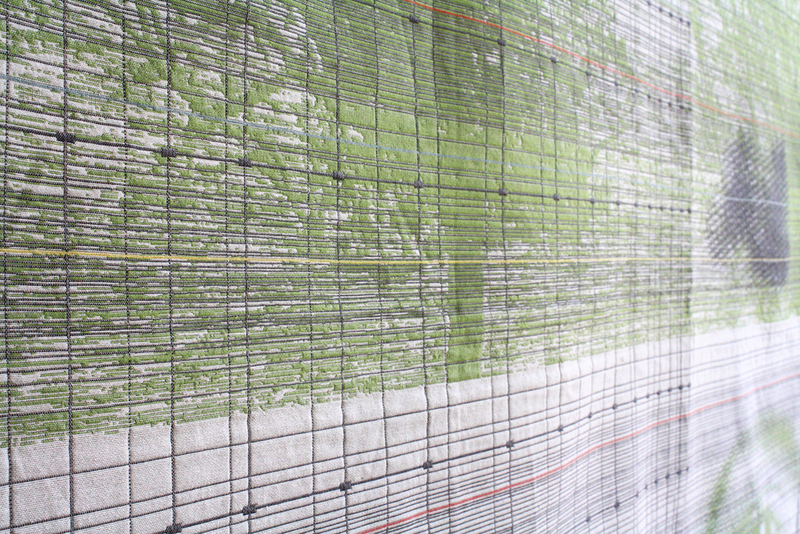 Studio Z continually explores the inherent color characteristics and their effects in textiles and other materials. See more here. Viewing the product and textile relationship as an opportunity for innovation, Studio Z integrates woven design within a products specific geometry to produce woven parts ready for application. The studio has a unique capability for uniting textiles and product design in a functional and aesthetically novel way. See more here.